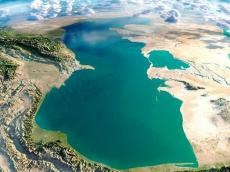 Iran plans to transfer water from Caspian Sea to Semnan Province as a solution for its drought and water shortage, however the plan has not reached a convincing state for the Iranian MP's. Referring to the current situation with the plan, a member of agricultural committee Ali Akbari told Trend that any action in this regard should be based on comprehensive studies and the future effects of this plan on environment should be reviewed. "Transferring water should be implemented beyond just one province in the region," he said. "It's unlikely that any studies have been conducted over this plan, or if there are any, perhaps the outcome was negative, so this issue should not be dealt with in a hurry," said Akbari. He warned that interregional implications could have contradictory consequences. Akbari says the issue should be assessed on various stages. "The plan is in the study phase, and hasn't even reached the feasibility study stage, and is not ready for launch," he said. Meanwhile, previously, the head of Department of Environment Isa Kalantari recently stated that water transfer operation from the Caspian Sea would not cause any environmental problem. Akbari said that the representatives of Iran's northern provinces do not agree with the plan in general. "I don't think we should jump to conclusions, and all the stages of this plan should be based on expert studies," he noted.